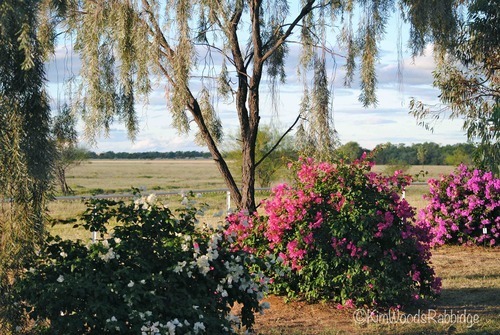 Here’s a magic garden near Longreach, in the ‘Outback’. 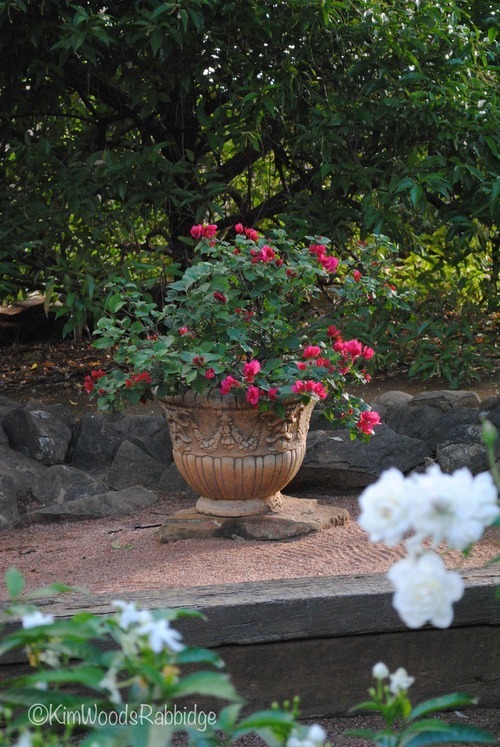 All winter the garden is ablaze with signature bougainvilleas. 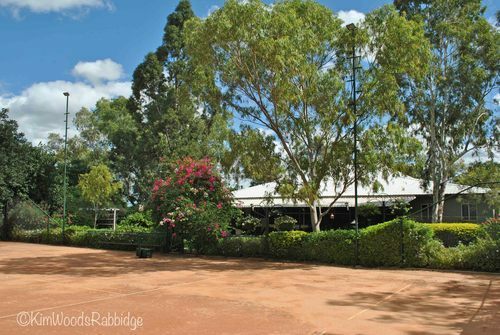 By the way – did you realise that this iconic country town is pretty well in the centre of Queensland – thirteen hours drive from Brisbane and 8 1/2 hours drive to the coast? While all gardeners juggle emotions of joy and heartache, for country gardeners these can be magnified. 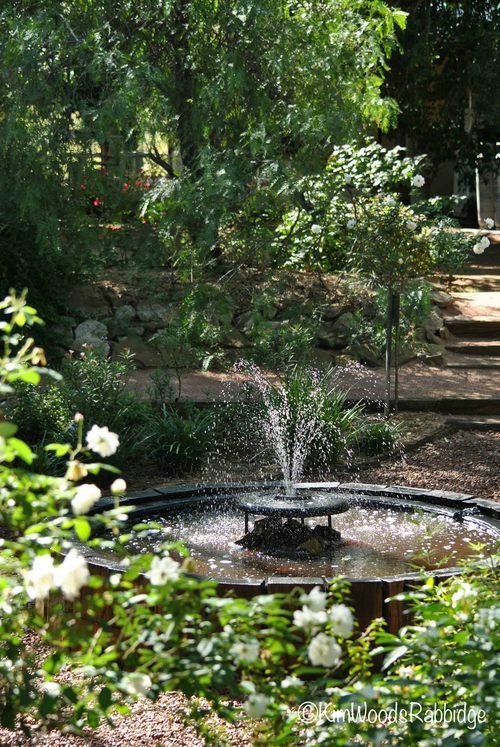 Battles they face against extremes of heat, cold, dry, and wet are often compounded by feral pests, but their gardens provide a creative conduit and become a peaceful, contemplative refuge. And what is always evident is country gardeners’ ingenuity. If facing adversity, or lack of supplies, they improvise – and the results are brilliant! 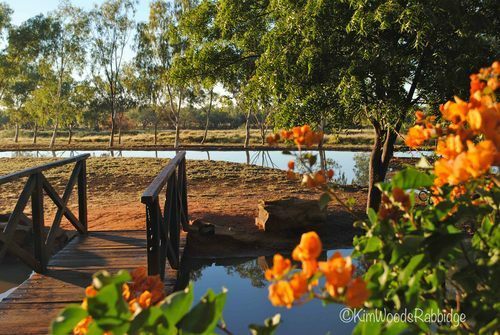 Tony and Jan Hetherington have patiently developed an oasis at Darriveen, just up the road (eighty kilometres!) 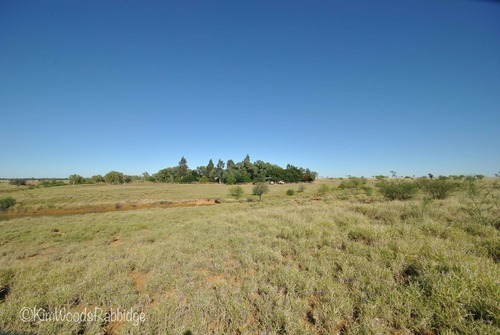 north of Longreach. Trundling along their dirt road, you know you’re approaching the homestead when you see a sylvan grove amongst the sparsely timbered, vast and gently undulating plains. 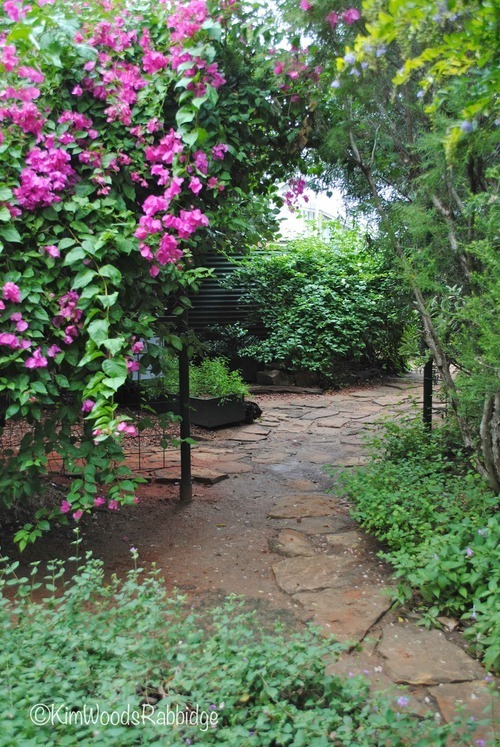 A sanctuary that’s watered, fertilised, mulched and nurtured. 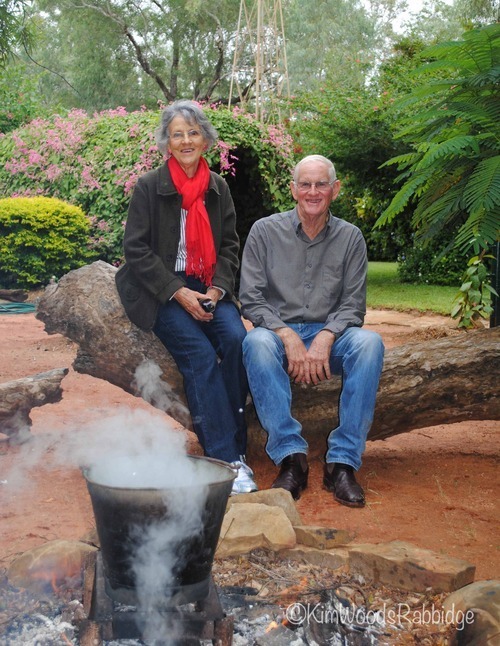 Tony and Jan by the fire pit built by Darriveen’s next generation, daughter Edwina and her husband Ray. Gnarly, sculptural log benches make the perfect place to share yarns and tucker. Just outside the garden a small lagoon is home to an entertaining family of Indian Runner ducks. 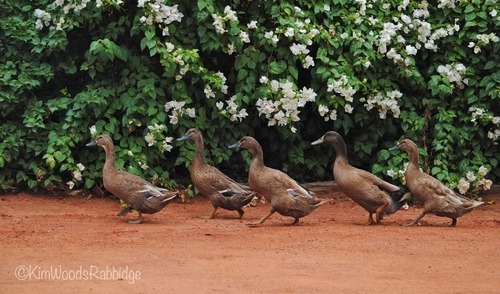 They can often be seen marching purposefully through the garden. Once inside, you’re captivated by the ethereal, filtered light. 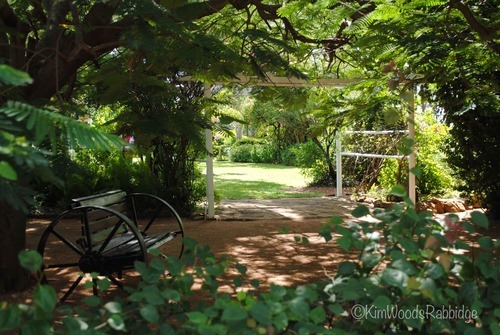 In the summer, when temperatures can remain in the 40s (C) for days on end, there’s some respite beneath the canopy. “It can be a howling wind outside, or stinking hot, but when you come in it’s degrees cooler, and tranquil. It’s such a haven,” says Tony. Lawn is limited to a few areas directly around the main home and cottage; its cooling effect is particularly welcome in the relentless summer heat. 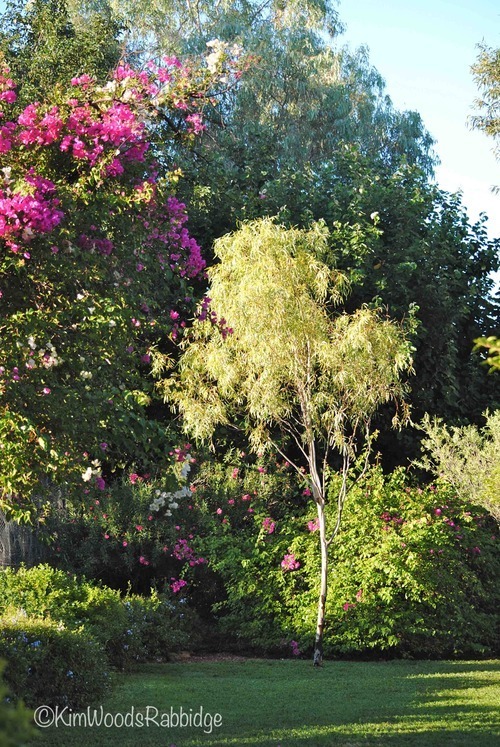 The garden today is a striking contrast to the landscape Tony’s parents confronted in 1950 when they bought the property… ‘with a few prickly bushes and a Parkinsonia tree’. They dug out a dam near the homestead and finally, after four years waiting for rain, it filled up. 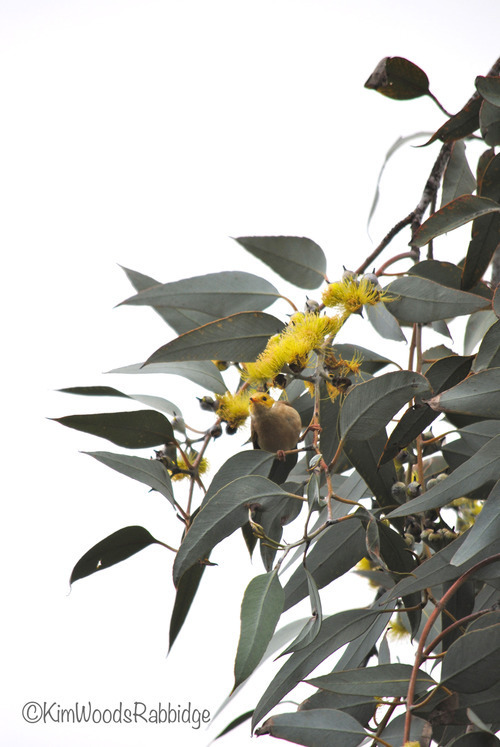 Coolibahs, whitewoods, kurrajongs, Cook trees, poincianas and oleanders were the first trees to be planted. A crescendo of birdsong heralds each morning: this is a sanctuary not only for people, but feathered friends as well. It’s now nearly fifty years since Tony and Jan took over Darriveen and the garden began to draw them in. 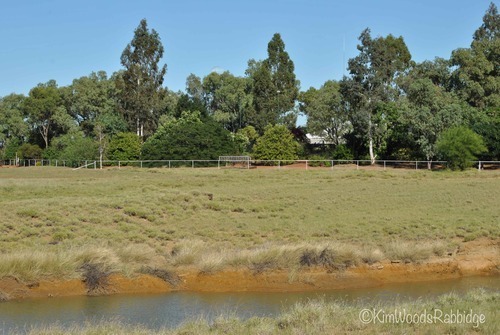 First they added tipuanas, schotias, Burdekin plums, cotton trees and numerous eucalypts, and then eventually in the 1980s, once their five children were more independent, they rebuilt the fence further out, extending the garden to its current 1.5-hectare size. 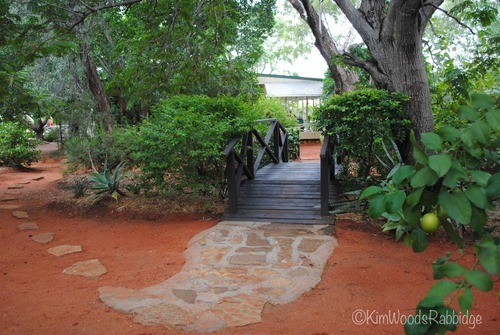 A quaint little timber bridge traverses a dry bed near the sunken garden which is accessed down wide dirt steps with timber risers. This is one of Jan’s favourite places. “Sometimes we gather here with the family for drinks. 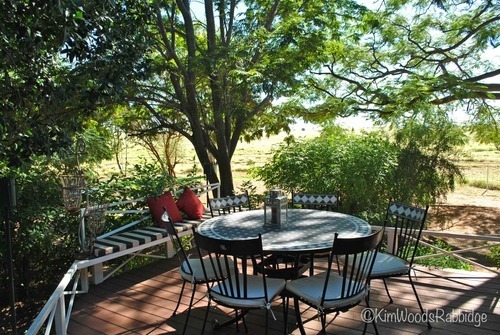 It’s such a peaceful spot and lovely to look up at the sunlit coolibahs,” Jan muses. In the centre of this sunken garden, on river pebbles, is a fountain Tony built using a low round cement sheep trough dressed with timber edging. Crazy-paving link some of the spaces and others are accessed via stepping-stones. 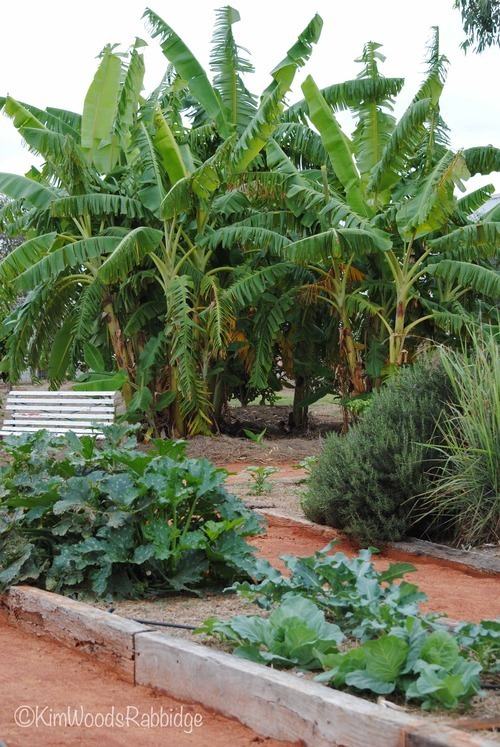 Winter’s a great time for veggies and the fruit trees. 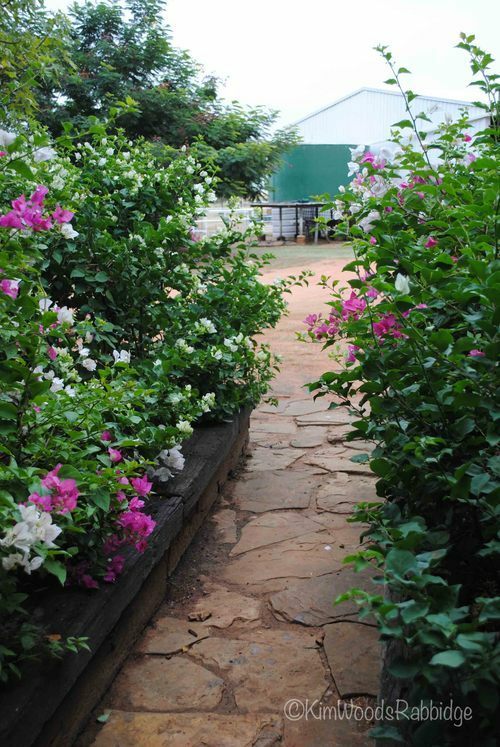 “Bougainvillea is our favourite plant,” Jan says, so it’s not surprising to learn they’ve planted around 300 of these versatile plants – and most she’s propagated herself. Inviting seats are where weary gardeners can reflect on chores completed, or projects planned. This is a labour of love: Jan tends plants, and Tony’s welded many of the innovative structures including stylish gates, seats and decorative hanging baskets painted black. Other features such as arches and trellises are painted a crisp country white. 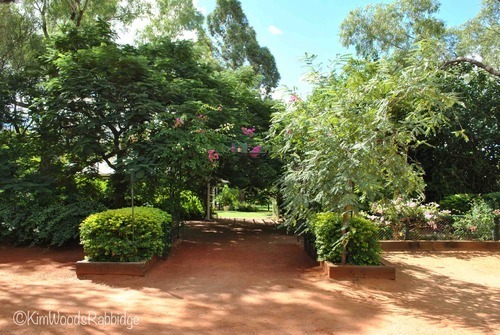 The Hetheringtons have imported tonnes of rich red soil which, when compacted, makes an effective surface as well as a wonderful contrast to the various greens and greys in the foliage. 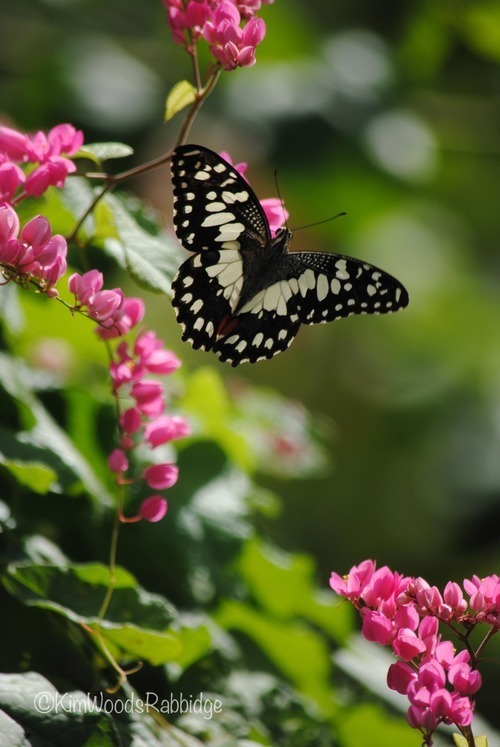 Garden nooks are perfect contemplative places; arched tunnels covered in bougainvillea or bright pink Antigonon creeper are secret, safe havens for little birds and butterflies. 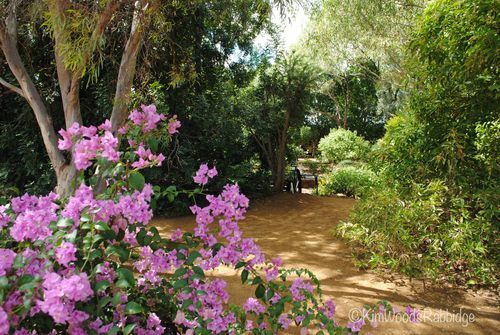 Darriveen is a garden full of surprises: there’s a lovely sense of discovery in this paradise for both children and grown-ups. Superb garden – the best yet! 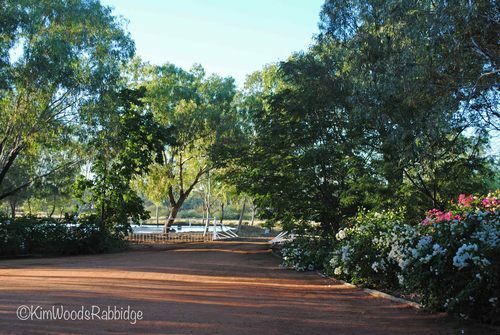 I love the red dirt paths!…maybe not so low maintenace though – Jan is out raking the path. 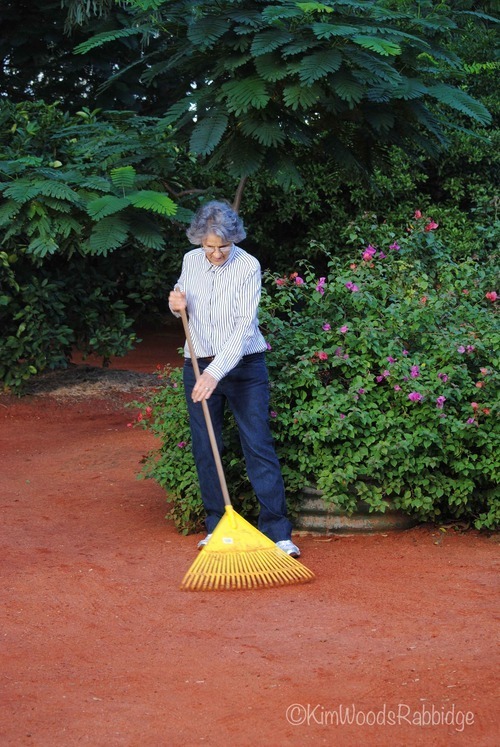 OAG: Hi Maryanne, yes, you’re right, that red dirt takes a bit of raking but we think Jan actually enjoys it! She has a very distinctive style – something like a crisscross or herringbone pattern – makes it very smooth. 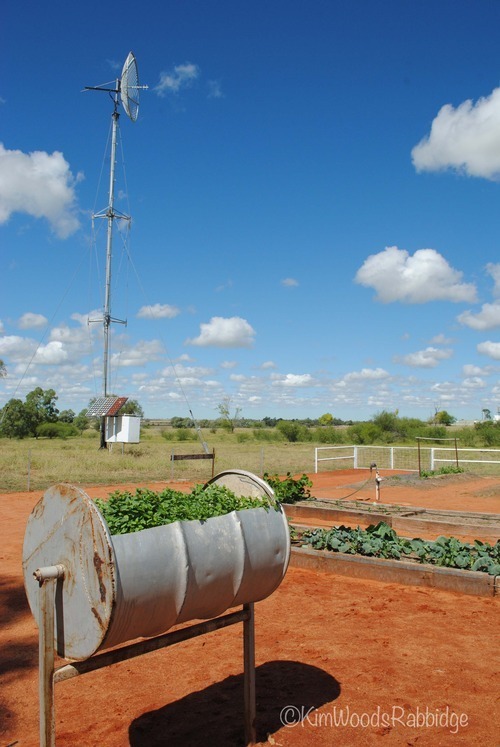 Jan and Tony are indeed an inspiration as gardens in the outback just don’t happen. 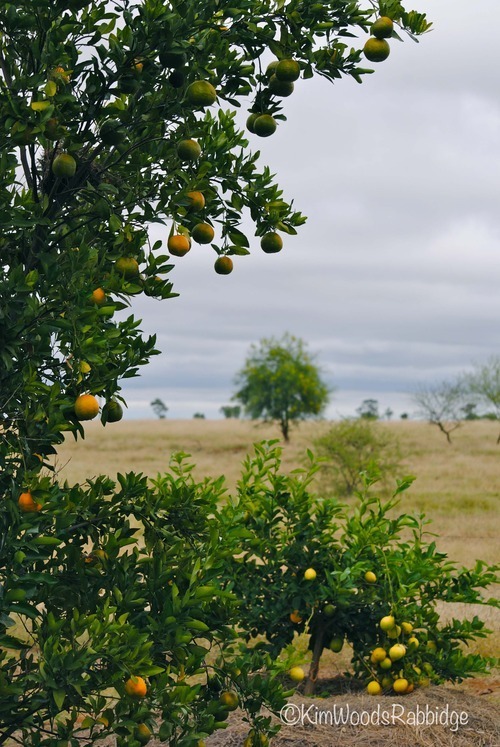 The contrasts are just beautiful and the coolness would be a treat in the sizzling outback summers. A real credit! Lots of hard work here. Absolutely beautiful and peaceful. Love it. Well done. What a wonderful oasis you have created. Very much a labour of love for all who visit to enjoy. What a relief to come home to this it must be.